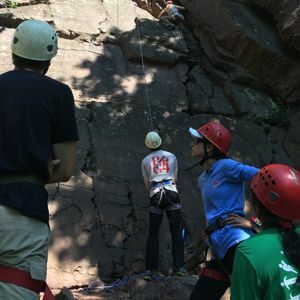 Our Half Day trips focus on one of two exciting aspects of outdoor climbing: Rappelling or Top-Rope climbing. Trips are 3 hours long and include set up and all necessary safety equipment. Group sizes are limited to 20 participants. 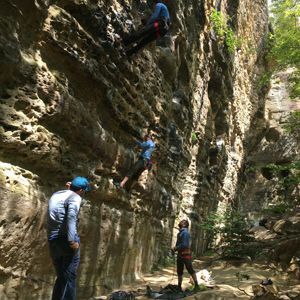 Our Full Day trips combine both Rappelling and Top-Rope climbing for the full outdoor climbing experience. Trips run from 9:00 am to 3:00 pm and set up, training, and all necessary safety equipment. Group sizes are limited to 20 participants. Prefer a smaller group or one one-on-one instruction? 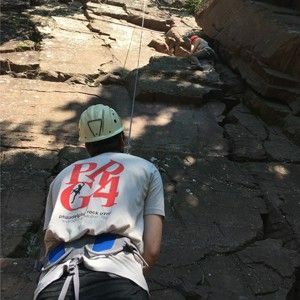 Whether you want to climb for a day or spend a weekend learning and refining techniques, our guides and instructors can help you along the way. Annual Member? 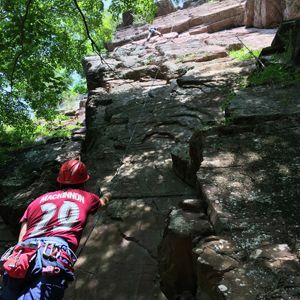 We offer all of our annual members one FREE 1/2 Day Climbing trip on one of our monthly DATR outings. Not a Member? You can still come and join us anyway!